Seoul is the capital of South Korea and such a magical place! 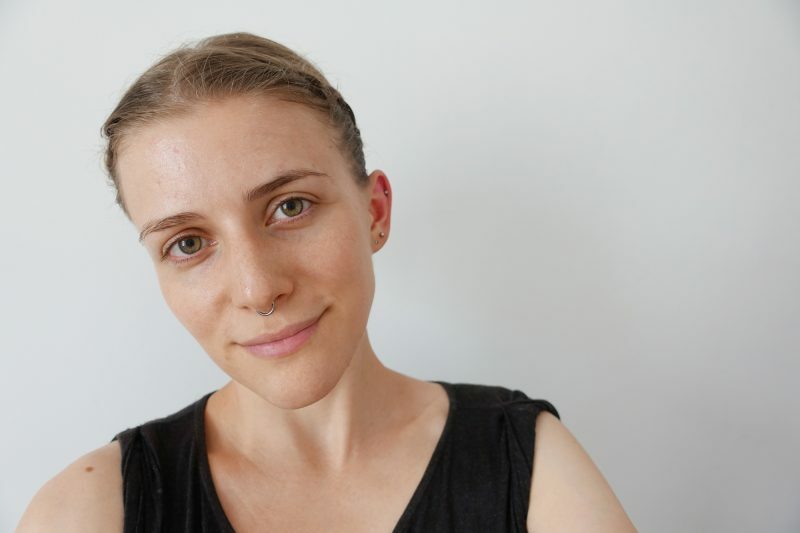 I had some pretty fantastic vegan food in Seoul and figured I’ll share it with you. I am so grateful that I got to spent almost two weeks in the city. 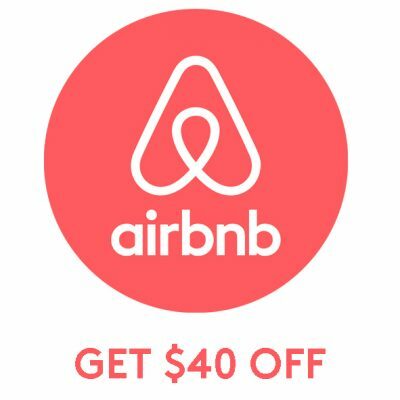 My man and I were lucky to secure a house sit for one of the two weeks through Trusted House Sitters. By signing up with my link you can get it for 20% off. 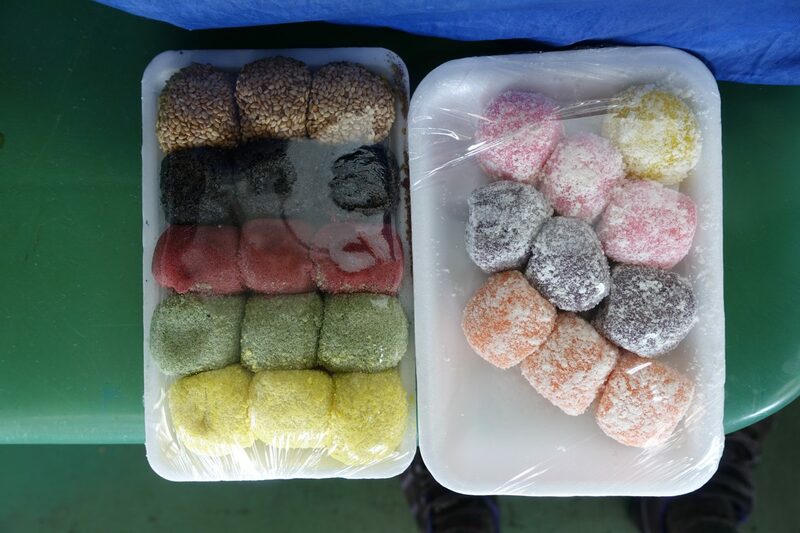 Tteok (떡) is a Korean rice cake that is made out of steamed rice flour and that usually come filled with red bean, nuts, seeds and various other ingredients. Most of them aren’t overly sweet and it’s one of my favorite sweets ever! My favorite ones are ball-shaped and filled with red bean. Red bean Tteok on the left! 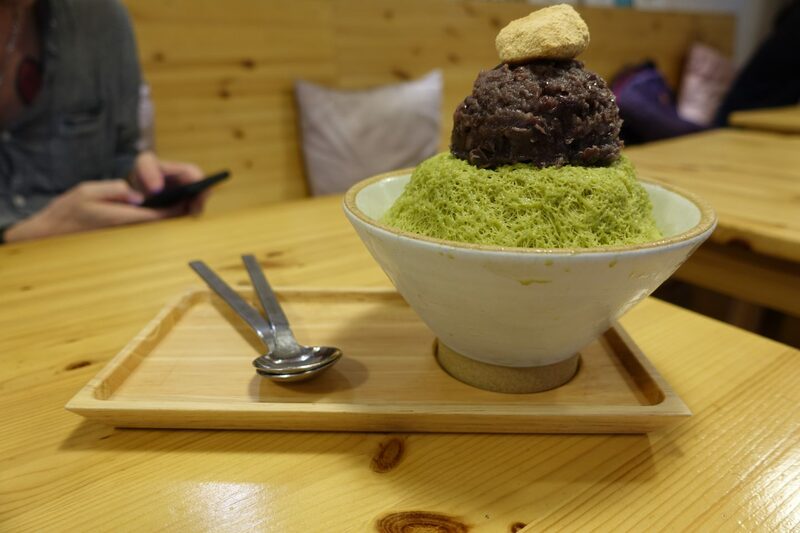 Patbingsu is a popular Korean shaved ice dessert, similar to what you’ll find in countries such as Malaysia and China. Toppings usually include fruit, syrup, beans and various other ingredients. It’s traditionally made with condensed milk and if you want it vegan then I highly recommend checking out Maju Story – 마주이야기. For a detailed review check out my post about vegan Patbingsu in Seoul. 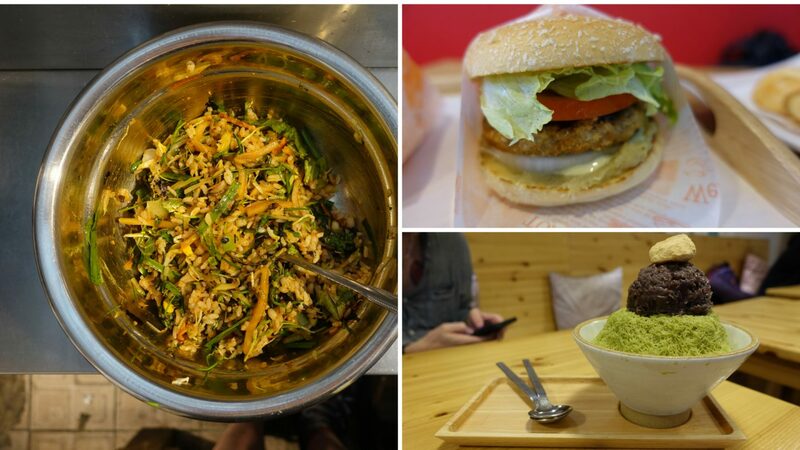 There are heaps of restaurants that offer fantastic vegan food in Seoul. As you may know, I strive to support places that offer affordable vegan food, by local standards. Luckily I had access to a kitchen and, therefore, didn’t eat out as much. I love cooking, what can I say! However, I did check out a handful of places and these are my favorites. 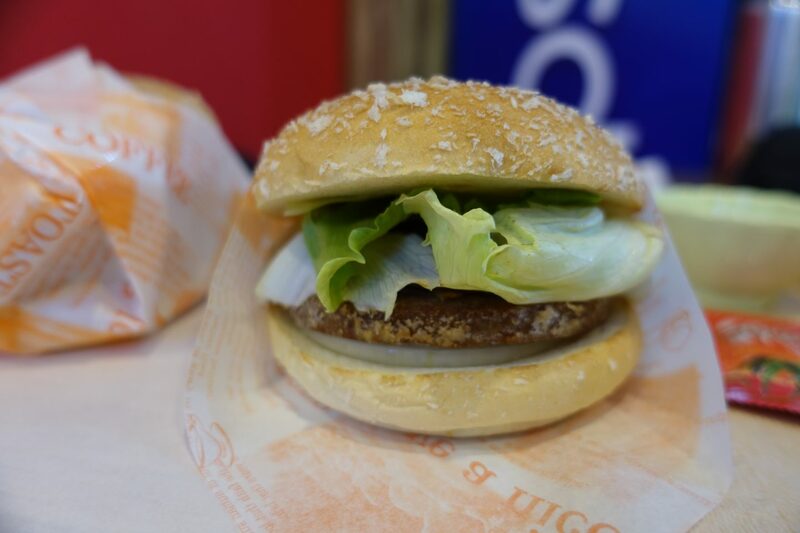 Highmiso Burger is an all vegan restaurant that offers 8 different burgers. They had raving reviews on Happy Cow and I couldn’t wait to check it out! Prices range from ₩ 2,500 to ₩ 7,000. I ordered the Brown Rice Burger for ₩ 4,500 and my man got the Sweet Potato Burger for ₩ 5,000. 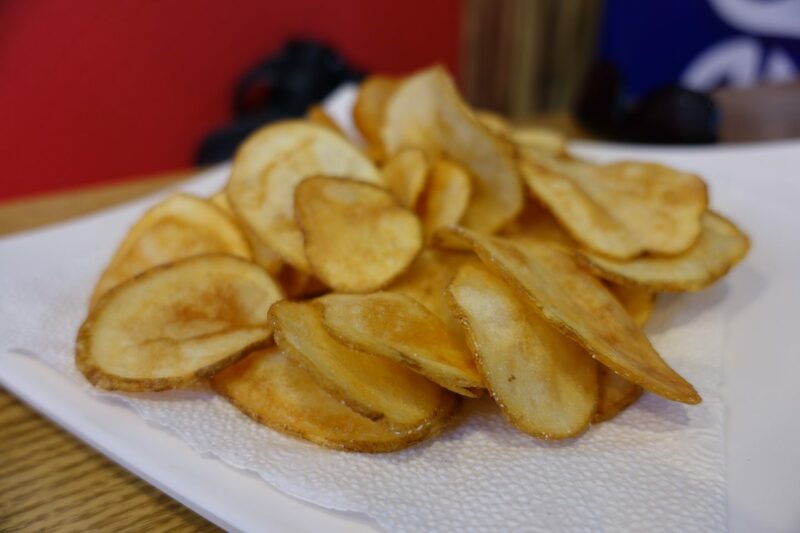 We decided to split a serving of fries for ₩ 3,000. Both burgers were incredible and so were the fries. It’s also worth noting that the portion of fries was HUGE and the photo that I took really doesn’t do it justice. 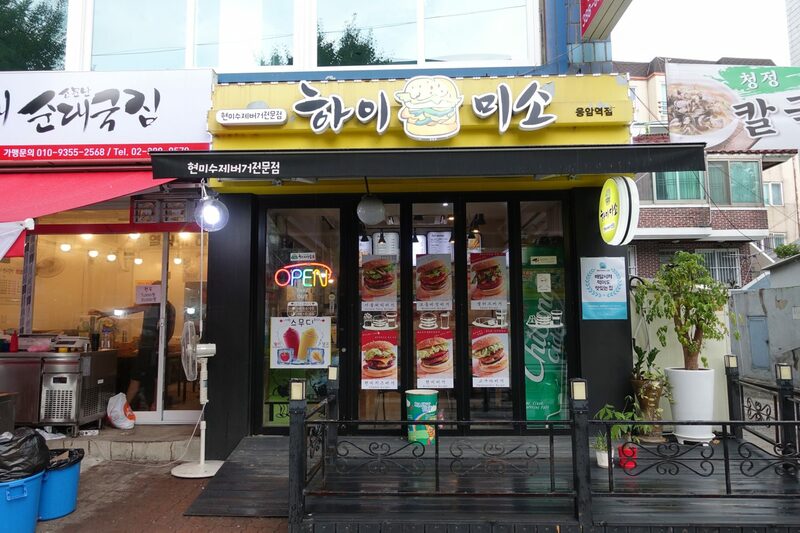 If you are looking for fantastic vegan food in Seoul and craving burgers then look no further! There’s a small vendor selling Bibimbap at Kwangjang Market. You can find Bibimbap literally everywhere and yet I love this particular one the most. It’s ₩ 5,000 and comes with bean curd soup. If you are vegan, make sure to have a note at hand stating what you wouldn’t want to eat. It’s absolutely delicious and I highly recommend visiting vendor #22 for your Bibimbap fix! 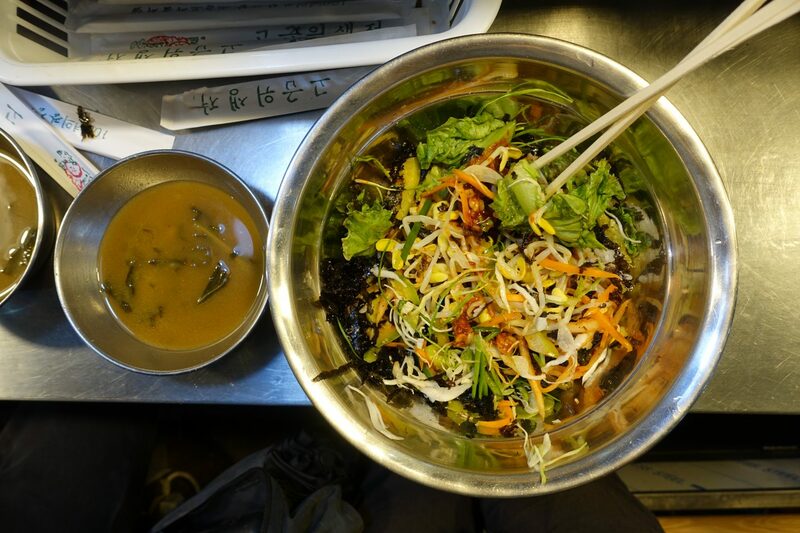 For a detailed review of my favorite places to grab Bibimbap in Seoul click here. I eat a diet rich in fruits, vegetables, grains, seeds, and nuts and don’t really seek out specialty “vegan products”. However, that being said, I do have a couple of recommendations if you are keen on having some vegan instant ramen. 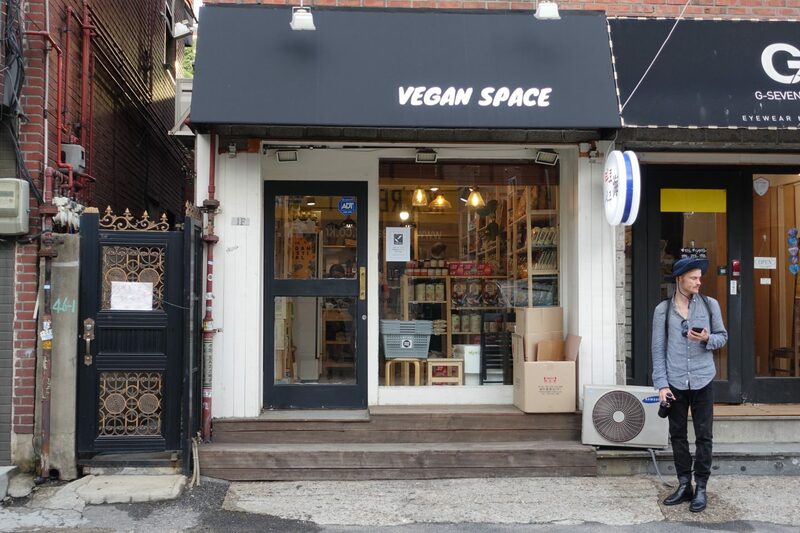 Vegan Space is a small all-vegan grocery store in Itaewon. It stocks a wide range of imported products along with a handful of local brands. If you are in need of vegan yogurt, tempeh, kimchi, instant ramen or canned mock meat, then this is your place. 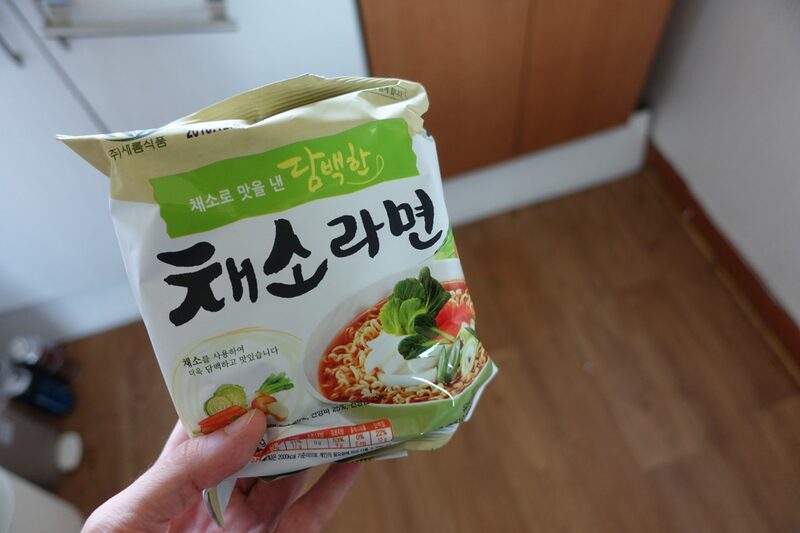 I highly recommend trying the vegan instant ramen for ₩ 1,800 – it’s delicious! If you’ve got any questions then you can hit them up on Instagram. e-mart is the largest retailer in South Korea and has stores all over Seoul. e-mart’s are always massive and they have literally everything. 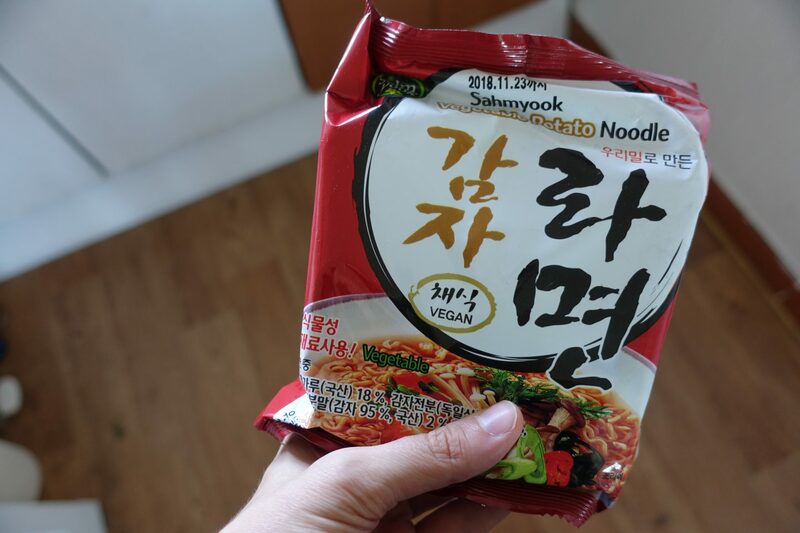 If you are looking for vegan instant ramen then look no further. This was a recommendation by someone from the “Seoul Veggie Club” facebook group. It’s 100% vegan (no fish oil!) and I highly recommend trying it. This ramen comes in a pack of 4 for roughly ₩ 4,600 and may be located in the “organic” section (that’s where I found it). If you plan on cooking while in Seoul then I highly recommend checking out Seoul’s local markets. Fruits and vegetables are a lot cheaper at markets and can be quite pricey at regular supermarkets. While most fruits are imported and therefore rather expensive, most vegetables are relatively affordable. Make sure to hit up local markets for the best selection and prices. 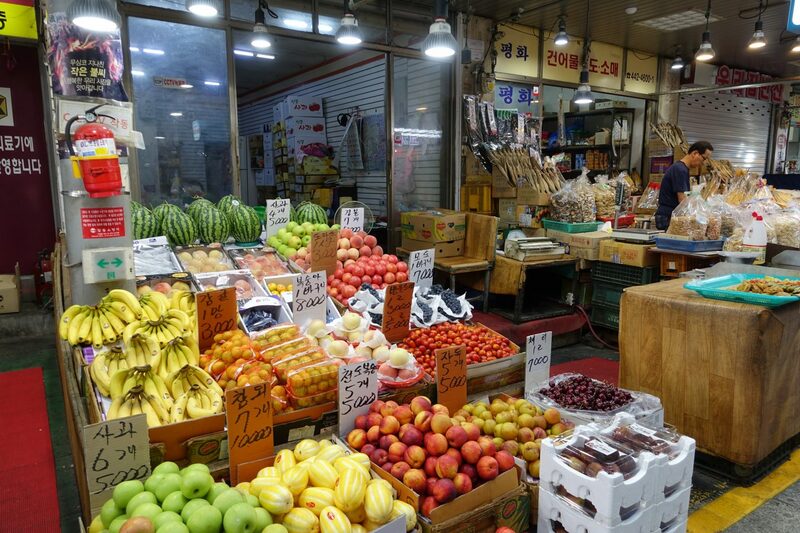 Amsa Complex Market is definitely my favorite market for fruits, vegetables, and sweets in Seoul! It’s right off the “Amsa” stop. If you happen to stay nearby then I highly recommend checking it out. Generally speaking, the more you buy of something, the better the deals. If you come in the evening (after sunset) you’ll get even deeper discounts. This was my post about vegan food in Seoul. I am utterly obsessed with Seoul and its food scene. What’s your favorite Korean food? I think mine would have to be Bibimbap followed by Patbingsu! 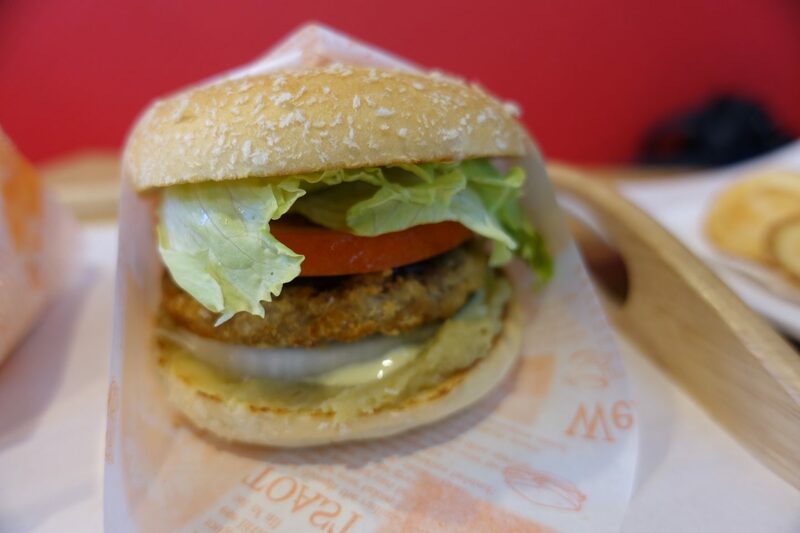 Next Post Incredible Vegan buns in Taipei!